Yes, there is a story behind the name of “The Green Box”! It’s an unusual name, right? Then why the “Green “ Box, you may ask? When the original owner Sandy was in high school, she had a little caboodle box she kept her makeup in. When she graduated and got her own place, she would occasionally have garage sales for some extra cash to help make ends meet. She used this little box as her cash box. Why not, it had a lid, handle, and was small enough to carry around. She usually had outstanding sales. It unfortunately broke and her sales were not good. It was her good luck charm and by this point you may have guessed, the little caboodle makeup box was Green. 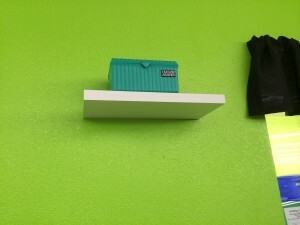 So as a source of inspiration and good luck the store was named after this infamous green box! In early 2017 Sandy decided to sell and start a new adventure, so in July, 2017 the Green Box Resale Shoppe changed owners and its name (slightly). Now the store is known as The Green Box Furniture & More! Stuart and Kim (new owners) have made a few changes but are staying true to the original vision of the store to provide nice quality new and used furniture and home décor to our customers. We always price our new furniture under the big box brick and mortar retailer down the road and the big box online retailer. Most of these price comparisons are noted on the tags of our new merchandise. If you haven’t been in recently you need to come in and see what’s new!